Many people would argue that the nutrition industry, including dietary supplements and functional foods, is already at the cutting edge of medicine, borrowing from ancient wisdom as well as utilizing new scientific methods and modern technologies to understand how the body works to support overall health and to help prevent disease. For most companies in the nutrition space the drive for innovation and better delivery is comparable to the relationship between mountain climber and mountain—there is always another peak to bag—but it is also about solving problems, creating efficiencies and staying relevant for an increasingly savvy consumer. As they seek these solutions, companies are particularly striving to better understand how to more effectively utilize nutritional compounds. 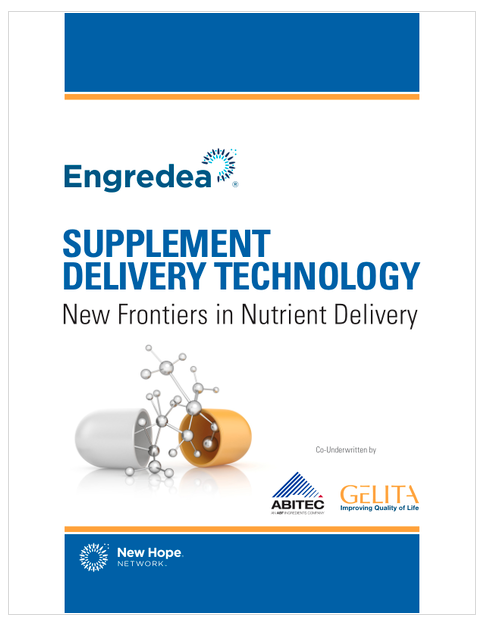 Read on for a deep dive into how new frontiers in nutrient delivery technology drive solutions over the finish line.